﻿ "Red" Barber and his daughter Sara seated at the piano. 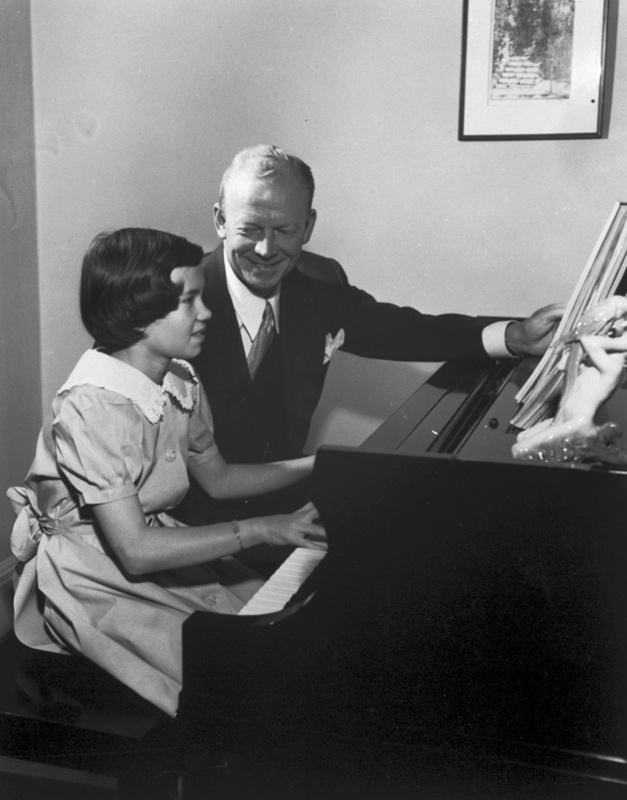 "Red" Barber and his daughter Sara seated at the piano. Scanned. Copy neg. "Red" Barber and his daughter Sara seated at the piano. Photograph 8059 from the University Archives Photograph Collection.